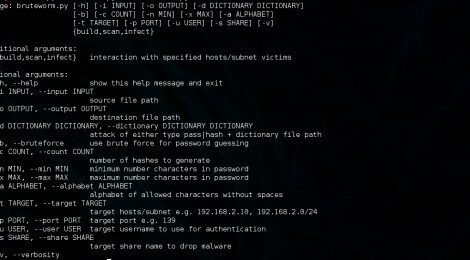 Browse: Home / Bruteworm ~ A simple worm that uses brute force and dictionary attacks through the network to infect vulnerable machines. Bruteworm is A simple worm that uses brute force and dictionary attacks through the network to infect vulnerable machines. Inspired from the famous SMB Worm Tool. Currently limited to making connections with SMB directly over TCP (445) and SMB via NetBIOS API (139), but I may add support for more protocols in the future. 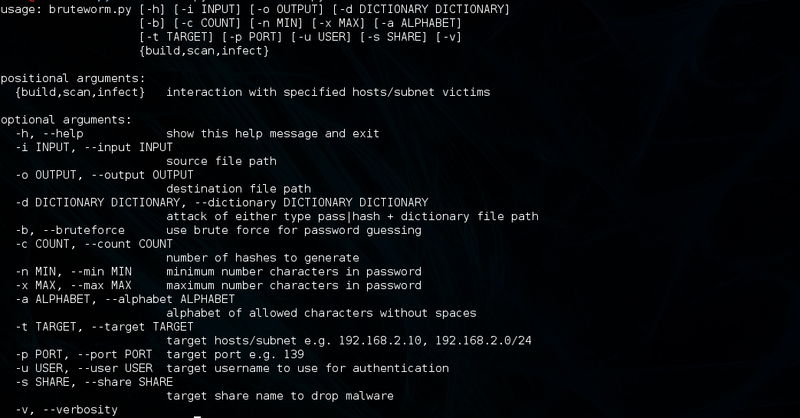 ← Updates PowerSploit v-23/09/2015 : A PowerShell Post-Exploitation Framework.